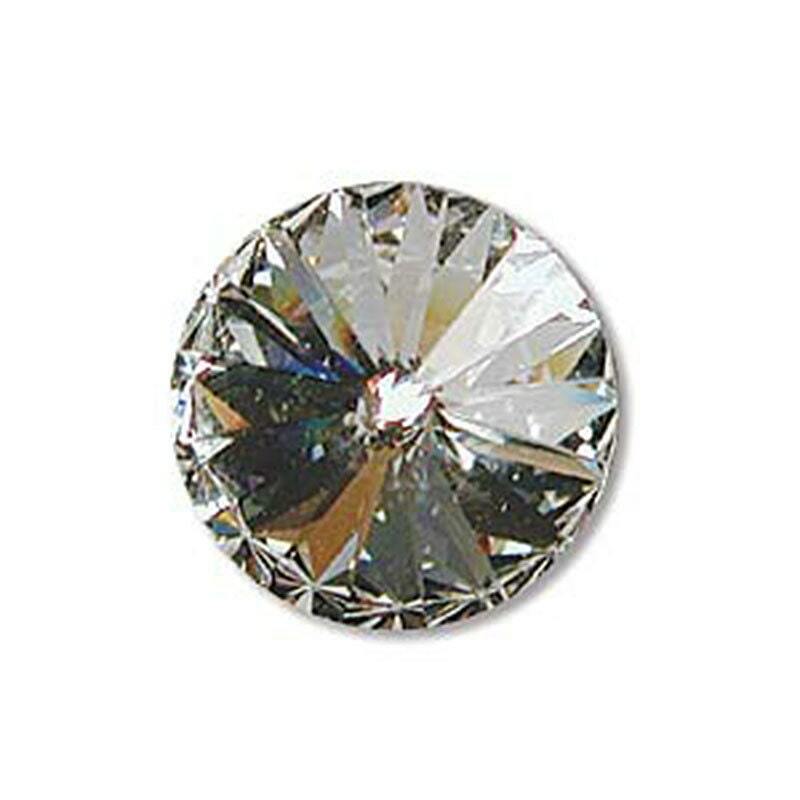 Swarovski Elements Crystal 14mm foil back rivoli glass stone. These rhinestones have fantastic flash with a captivating sparkle. Rivoli rhinestones have no holes and have a single-sided foil backing that creates intense reflectivity. Pointed top and bottom adds increased depth and sparkle. Swarovski Rivoli in the crystal foiled that have lots of bling to it. It will be the center of attention when I make my pendant using it. Good price with fast delivery. Beautiful rivals. Beautiful in the setting I have.